The true mark of any democracy can be measured by it’s citizens’ commitment to the supremacy of the rule of law. This supremacy dictates that justice will be dispensed with fairness and citizens will have access to redress if there is any doubt as to the fair application of the law. The inequitable applications of the law and the lack of fair access to the judicial system have been some of the reasons that have contributed to undermining the rule of law in Sierra Leone. a) establish clear procedures to ensure an independent, impartial and autonomous judiciary. b) separate the offices of the Minister of Justice and that of the Attorney-General. c) ensure expeditious dispensation of justice. a) ensuring a proper functioning of the judicial system by discouraging political interference in all spheres of governance including the Anti-Corruption Commission which shall be given the power to prosecute. b) setting up Special Rapid response courts that will adjudicate in land issues, small claims courts, to settle disputes which otherwise have created bottle-necks in the legal system. c) supporting the work of the Law Reform Commission, the justice sector development programme and other reformatory institutions to review laws that have no relevance in today’s Sierra Leone. The Foreign thrust of a re-elected APC Government shall be to reinforce existing relations with foreign countries and all International Organisations to which Sierra Leone is a member. This will be done through implementation of well defined policies and programmes that will safeguard and protect our national interests as stated in section 10 of the preamble of the 1991 Constitution of Sierra Leone. a) Implement a credible foreign policy that will enhance mutually rewarding co-operation with our International partners. b) build up from the impressive, constructive and rewarding foreign policy of the previous APC Governments, an APC foreign policy shall re-introduce and maintain a positive, respectable, pragmatic and common sense approach in our dealings with nations and organizations. c) renew our support and commit ourselves to meeting our obligations to all international organisations such as the Mano River Union (MRU), the Economic Community of West African States (ECOWAS), the African Union (AU), the United Nations and all other international organisations to which we are signatories. a) endeavour to understand and interpret at all times, the constantly changing character of international situations in a changing world. b) acknowledge that as patterns change, so will our friendships between and among nations shift. We shall adjust when necessary, to ensure valuable diplomatic representation and outreach that protects our national interest. c) ensure unwavering national support for a new and dynamic foreign policy, the Foreign Ministry of an APC Government will step up outreach contacts with civil society, students, the media, traditional authorities etc to explain emerging international ideas and concepts such as the Millennium Development Goals MDGs, New Partnership for African Development. NEPAD and African Peer Review Mechanism APRM affect us as a country. The Military and the Police are the two main state institutions charged with the responsibility of safeguarding the integrity of the National territory and protecting its people from both internal upheavals and external aggression. The peace which currently prevails in the country following a tragic eleven year civil war is a result of the collective effort of its people and the resistance provided by its armed forces. - Corruption in the Police Force. The prime objective of the All Peoples Congress Party will be to address the prevailing weaknesses in the armed forces, and to adopt appropriate strategies for systematically and consistently addressing the prevailing problems that exist in the army and Police. The APC Party will exert every effort to ensure that the armed forces are constantly built up to a level of preparedness for the protection of the state and to thwart any actual or perceived threat from any aggressor or potential aggressor. The All Peoples Congress will endeavour to ensure that service men and women in the armed forces are fully and adequately provided for in terms of salaries, service conditions and their housing facilities. As soon as possible, the APC Government will make a review of the salary structure, and the service conditions of our personnel in the army and police. The APC will endeavour to ensure that modern communications and logistical equipment are provided for the Military and Police. An adequate provision of modern weaponry will be made available to the armed forces to ensure that combatants are put at a reasonable advantage for the defense of the homeland. - The Party will ensure that Soldiers and Police are properly and adequately, provided for in terms of housing facilities. - An APC Government will work in conjunction with external partners to explore the possibility of establishing a mechanized brigade, for the purpose of national defense as well as to participate whenever necessary in peace keeping activities in conflict zones. The APC recognises the invaluable contribution of women in every aspect of the nation’s economic endeavours. Women must be able to participate as equal partners in our quest for leadership and development of our Nation. a) strengthen women’s groups as well as encourage and facilitate women’s involvement and participation in the policy making process. b) support the education of women on major trends affecting their life and wellbeing arising from the effects of globalisation. The APC will undertake an assessment of the extent and in what ways government development plans and activities integrate the normative dimensions of gender equality in conformity with and follow up to the Convention on the Elimination of Discrimination against women (CEDAW). c) empower and work with the appropriate authorities and agencies to implement laws and policies that will eliminate all forms of violence and discrimination against women. a) ensuring that women’s issues are mainstreamed across all development and public policy processes. We believe that policies that are not engendered are endangered. b) working with our development partners, organizations and agencies operating in Sierra Leone to maximize the support that war affected young women require for their rehabilitation and integration into mainstream society. c) supporting female-owned and managed enterprises through credit on favored terms. Throughout Sierra Leone the scars of war are a grim reminder of the atrocities committed on our people for more than a decade. Quite a good number of the victims of the war have yet to put a closure to that nightmare more so because of the gross failure of the SLPP Government to implement the findings and recommendations of the Truth and Reconciliation Commission. Raped women, orphans, branded children, amputees; the mentally and physically scarred all require and deserve reparations and integration into mainstream society. a) implement to the fullest the TRC recommendations on the needs of victims especially those on health, pensions, education, skills training, micro-credit and community reparations. b) initiate and promote propgrammes that will enhance the status and welfare of this group. c) Enhance the legal capability, empower institutions and eliminate all forms of discrimination and biases against the physically challenged. a) working in collaboration with National and International Non-Governmental organizations (NGO’s) and Inter-Governmental Organizations (IGO’s) to ensure that programs and adequate services such as health, shelter and educational opportunities for the victims and their dependants are available in all districts. b) making the activities of NACSA more effective and focused to ensure that proper and adequate measures are put in place for the benefit of the victims of the war. c) designate a day of National Mourning in respect of the many who lost their lives and for those who remain permanently damaged. d) erect a war monument so that the painful past will never be lost on the conscience of our people. Sierra Leone has been characterized by the lack of good, reliable and sustainable energy and power for the last several years. The APC has for long acknowledged that it is near impossible to run a modern state without reliable and adequate supply of energy and power. This is why we initiated the Bumbuna Hydro Electric Project many years back. A situation whereby the nation’s capital has remained for years without dependable electricity supply will not be allowed to persist by an incoming APC Government. a) provide assured and reliable electricity for the capital city - Freetown. b) rehabilitate all power stations throughout the country and ensure that they operate effectively. a) take action to ensure the completion of the Bumbuna project and provide Freetown with adequate electricity supply within the shortest possible time. b) encourage national and international financiers to invest in alternative sources of energy like solar and wind energy. c) ensure the increase of the capacity of the Dodo electric power station so as to provide electricity for the growing cities of Bo and Kenema and their environs. d) identify and explore other potential sources of hydro electric power Nationwide. The APC recognizes that transport and communications constitute very vital links both in our domestic and international economic change. Inland and water transportation are stimulants to development especially within the rural areas. However, river transport infrastructure consisting of jetties, wharfs, warehouses and transit sheds are in dire need of attention. Similarly an improved network of trunk and feeder road system is necessary for the development of the economy and the delivery of goods and services. The importance of air transportation in a globalized World cannot be overstated The dissemination of information in a timely and efficient manner depends on a reliable communication system. a) develop sea safety standards and rehabilitate jetties and slipways and where possible build new ones. b) extend the activities of Sierra Leone Ports Authority by providing dry –dock services among others and explore the possibility of having a free port in Freetown. c) rehabilitate trunk roads and bridges to facilitate public transportation. d) complete on-going construction of roads such as the peninsula road and Guinea- Sierra Leone Highway and all others initiated by the APC while previously in government. e) extend and improve existing feeder roads to enhance the movement of agricultural inputs, produce and other essential commodities. f) seek to upgrade Lungi International airport and domestic air fields. g) facilitate an environment in which our local Communication industry will compete favorably with other tele-communication companies. a) promoting transportation and exploring the abundance of waterways throughout Sierra Leone, to enhance the tourist industry. b) strictly supervising and monitoring the disbursement of the road users’ tax. c) continuing its program of trunk road expansion commenced whilst in office, through partnership with friendly countries willing and able to support such programs. d) encourage private, local and International airline operators to invest in the airline industry. e) reactivate our National tele-communication system by providing adequate resources. Sierra Leone with its unique landscape, exotic flora and fauna, mountains and natural beauty together with its historic heritage, remains a tourist dream. The APC recognizes the devastation caused to this sector by the civil war and sees the need for its revitalization. a) fully harness our gifts of nature for touristic purposes. b) revitalize the tourism sector to become a major contributor to the national economy. c) encourage and regulate the active participation of private entrepreneurs and non-governmental organisations in the development of our tourist industry. a) encouraging and inviting African and peoples of African descent in the Diaspora to reconnect with their heritage by visiting historic places like Bunce Island - the 18th century British slave outlet in the Republic of Sierra Leone. This little known island has the closest link to North America than any other slave outlet in the West Coast. b) extending the nation’s tourism programme into the interior to make it truly national. c) encouraging tertiary institutions to interest their pupils and students to pursue careers in the tourism industry because of the sector’s employment potential. d) seeking co-operation and active participation of local and international investors in the tourism industry. e) ensuring that tourist areas are demarcated and legislation enacted to prohibit the erection of illegal structures for residence, trade and commerce. Historically, the minerals of Sierra Leone have been the major foreign exchange earner for the country and have been providing jobs for a large proportion of the population. This sector has been badly devastated during the ten year civil war. In particular, all institutional and alluvial mining activities were brought to a standstill. a) declare our strategic mineral resources s national assets. b) review all exploration and mining contracts that are in operation. c) require that all our mining partners provide infrastructural facilities that will enhance the standard of living of the residents of mining areas. d) seek adequate compensation for the devastation of mining areas where landowners can no longer use their land for farming activities. a) ensuring that residents in areas producing the wealth of the country are entitled to reasonable portion of the income generated from the area. b) requiring that any engagement in mining activity must be subject to environmental safeguards. c) re-examining and revisiting exploration and mining contracts, sale, export and marketing of all minerals and will come out with a comprehensive mining policy that will cover exploration, mining and export. d) encouraging and facilitating the establishment of a diamond cutting and processing industry. e) resuscitating vital area of economic activity that will encourage artisanal miners for both diamond and gold to set up cooperatives and/or joint venture companies. These will provide the institutional framework through which small scale miners can access funding for their operations. The APC acknowledges that increased and profitable activities in this area will result in reducing unemployment and increase regular payment of royalties and taxes to government. 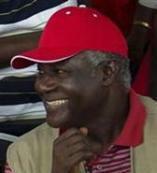 Sierra Leone has been a pioneer and a leading light in radio and press journalism. However there is current need to revive those golden days at a time when this century has been designated as ‘the information age’. The APC government, recognizing this situation shall continue to regard the mass media as a critical and necessary ingredient of good governance and shall support it as a tool for national development. a) use the mass media to serve as a medium to educate the public in matters of state and how these matters impinge on their daily lives. b) be committed to greater freedom, and democracy and we would enhance the role of a free, unfettered and responsible press. c) place a high premium on responsibility of journalists and broadcasters to build up the professional capacity that will enable them to perform their functions without fear or favor. a) reviewing the 1965 Public Order Act. b) assisting the fourth estate in building itself up in terms of capacity, professionalism and ensure its independence. d) encouraging and strengthening the National Media Commission. e) improving radio/TV dissemination nationwide.